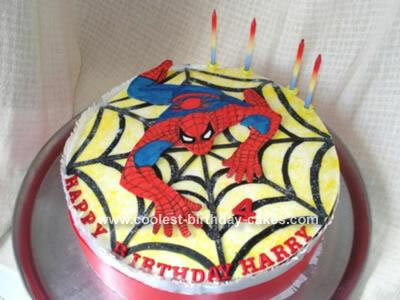 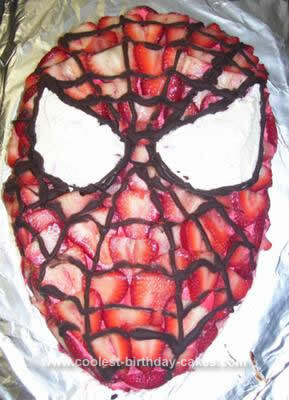 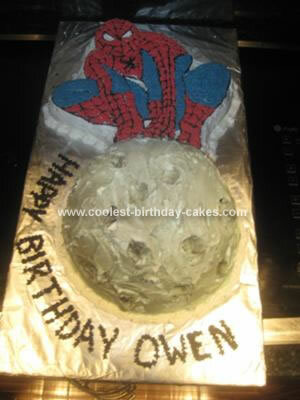 Get in touch with your Spidey sense as you browse these homemade cakes! 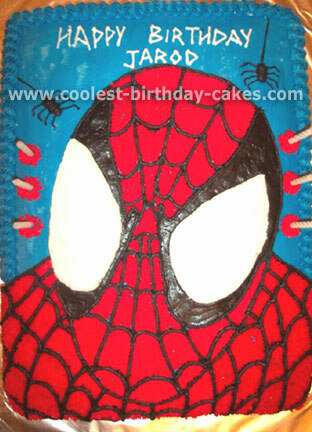 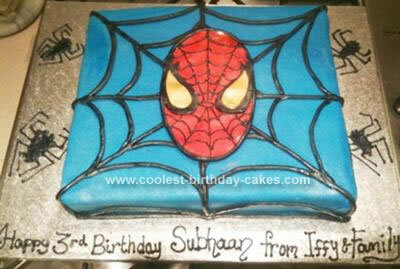 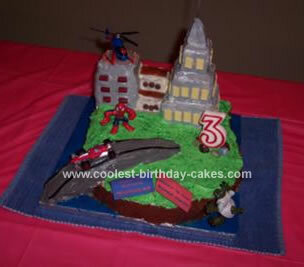 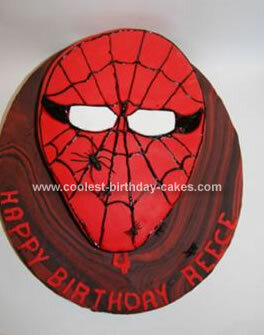 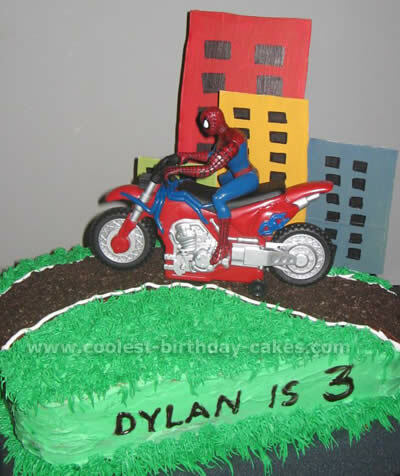 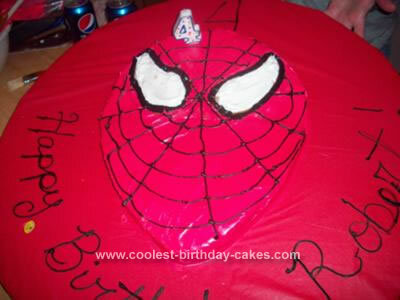 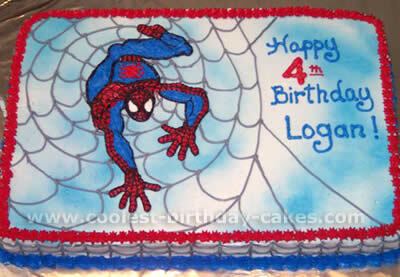 Peter Parker stays incognito and lets his alter ego have center stage in this Spiderman birthday cake collection. 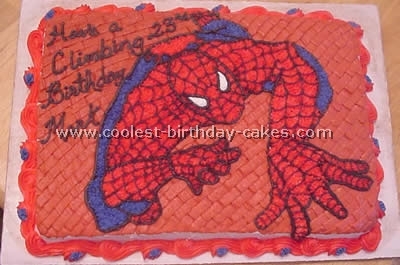 Watch as Spiderman daringly scales buildings and clings to his webs. 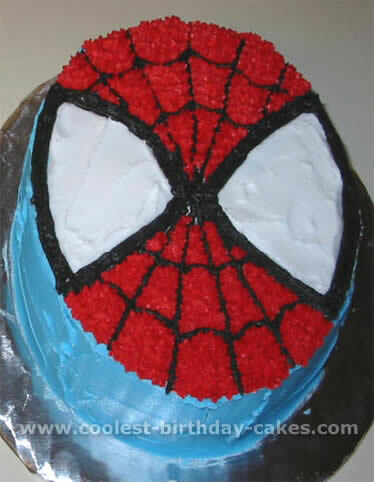 You will also see two dimensional cakes in the shape of our hero’s head. 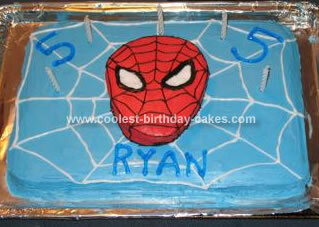 Another great idea is a number cake, decorated in spider webs. 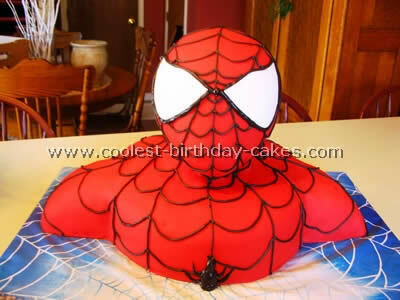 Get set to impress with a three dimensional bust of Spiderman’s head and chest. 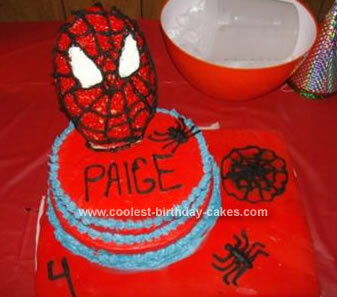 You can learn the easy trick and enjoy astonishing your little and big Spidey fans. 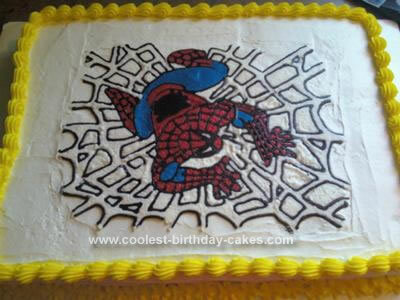 Technically, you’ll need to hone your piping skills so your webs hold up under Spidey’s grip. 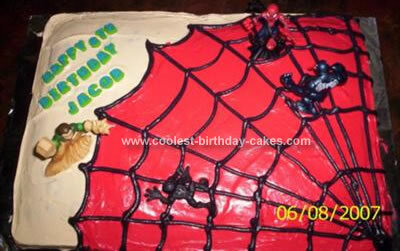 Additionally, there are no substitutes for Spiderman’s red. 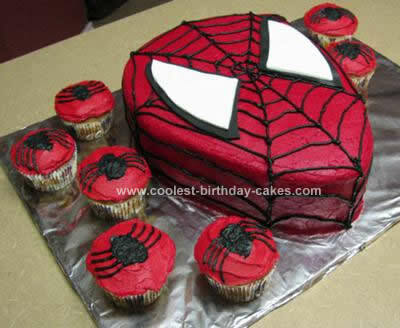 Like red or dark pink will not do! 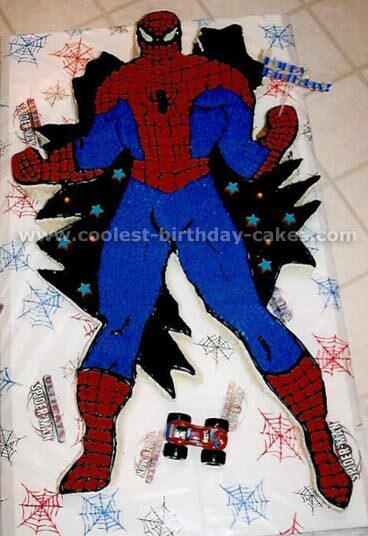 Make sure to give yourself enough time and food coloring to get his complexion correct! 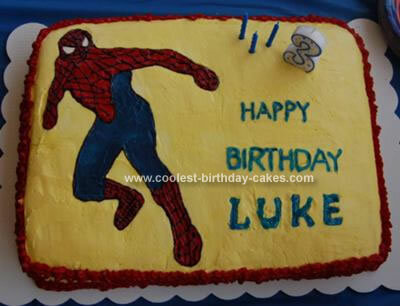 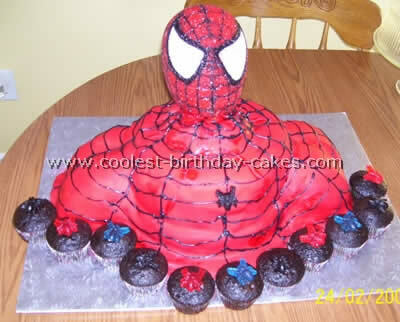 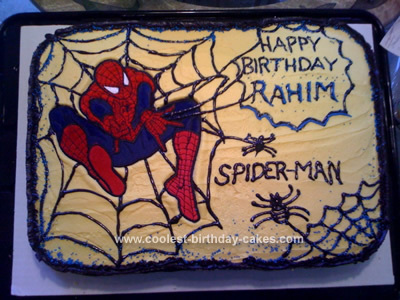 As you make your Spiderman birthday cake remember that "with great cake power there must also come great cake responsibility".